A repeater could provide the extra wireless coverage you need — just expect to lose bandwidth in the process. If you're dealing with inconsistent wireless coverage at home, a WiFi repeater might be the device you need. 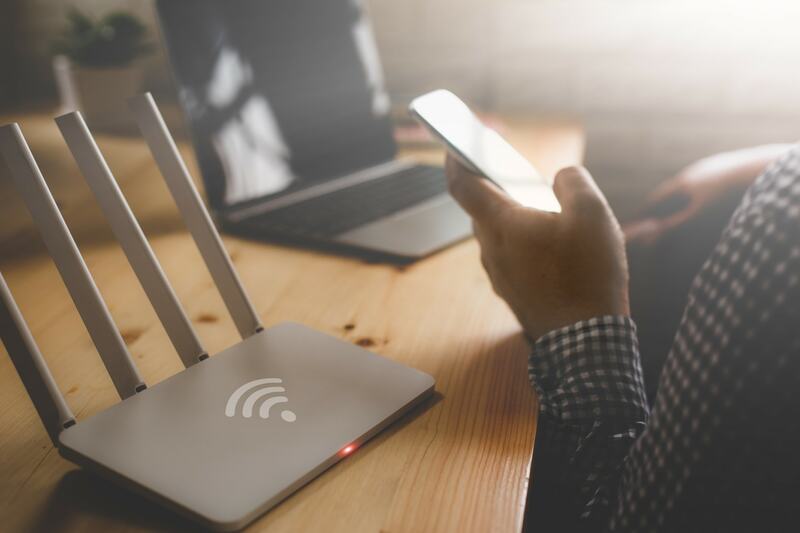 Read on to find out what a wireless repeater is, how it works, and how it differs from a WiFi booster or a range extender. Sometimes called a wireless range extender, a WiFi signal repeater is a device that extends the coverage area of your existing wireless signal. A WiFi repeater extends the coverage area of your existing wireless signal. How Does a Wireless Repeater Work? A WiFi repeater rebroadcasts your existing wireless signal to create a second network. Although a repeater simply repeats the signal without modification, it can function as a WiFi booster, as well. According to RepeaterStore, a WiFi repeater amplifies your existing signal, transmitting it so your WiFi coverage area is extended. SEE ALSO: What Is a WiFi Booster? A wireless repeater is kind of like having two routers in one. If you're using a single-band repeater, this means you'll experience a 50% bandwidth loss. This is because the same channel is being used to receive and transmit the data. However, dual-band repeaters designate one channel for users and one for communicating between devices. While you'll still see some bandwidth loss, it's less than what you'd get with a single-band repeater. Though each of these devices can work in different ways, most retailers seem to use the terms interchangeably. Some guides even say that these devices are all the same thing. So should you try to buy the best WiFi repeater, wireless extender, or booster? Don't worry about the name so much — instead, focus on the specs of the device. That's how you'll be able to determine if it'll serve your needs. Congrats, that's the most obscure reference I've seen in a minute! Fugazi made the best Repeater.